We offer pin-up shoots and glamour shoots for models. You can pose with a variety of classic cars, in a classic car restoration shop, or your choice of location. PLEASE NOTE: We do not provide hair and makeup. We can suggest poses but it is important that you do your own research to get the look you want. We also offer shots of your classic (or other) car with a model. Just let us know what you need. 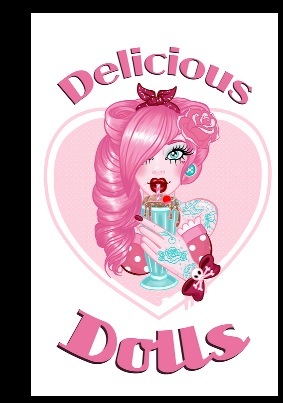 We are now official photographers with Delicious Dolls Magazine which means you are guaranteed publication. Magazines we are in also in include Exalte Magazine, Pinup America, Fashion Bombshell, Inked (online), and of course - Delicious Dolls.